As the end of the year if fast approaching, I have started to reflect a bit on what I've accomplished in 2013. In addition, like many of you, I have started to think about what I'd like to accomplish next year and perhaps what some of my “resolutions” will be. Today, I'd like to just briefly reflect on some of the happenings this year with my business and NichePursuits.com. In addition, I'd like to give some insight into what it's like to have an online business during the Holiday season. Niche Site Project 1 – BestSurvivalKnifeGuide.com case study – I personally built a niche website from scratch for everyone to see. Niche Site Project 2 – aPennyShaved.com case study – I coached a student (Perrin) to build a niche website from scratch in front of everyone. Started the Success Stories series! Read many success stories from others building niche websites and more. 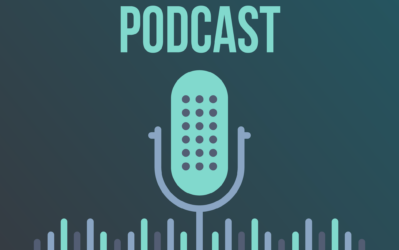 Recorded several episodes of the NichePursuits.com Podcast. 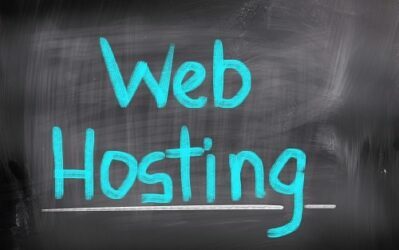 In addition, I held a couple of domain auctions and also launched Rank Hero. Overall, you can review all the blog posts I've written in 2013 (and earlier) right here. Outside of of NichePursuits.com, I've built several niche sites not shared publicly here, and built out a couple of larger authority sites that I plan to continue growing in 2014. And of course, I continue to manage and grow Long Tail Pro, the Niche Website Theme, Long Tail Classroom, and Welcome Splash. As Christmas and New Year's Day approaches, I likely won't be getting as much work done. I have 3 children, and they are all off school for the next 2 weeks! Since I work out of my home, this presents some challenges for me to work effectively sometimes. But, I'll be honest, being able to work half a day or take a few days off whenever I want is pretty nice! One of the major benefits of owning your own business – and particularly an online business – is the ability to work when and where you want. I truly feel fortunate to be able to have a light work schedule over the next couple of weeks so that I can enjoy extended hours with my wife and family. So, don't expect too many posts from me in the next 2 weeks! 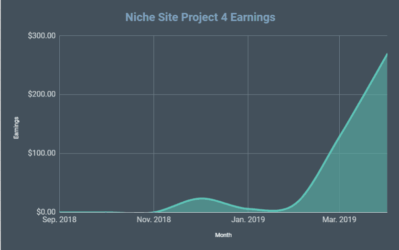 If my blog and the case studies I've shared has in some small way allowed you to have more flexibility with your time and a nicer income, then that would be the best accomplishment for NichePursuits.com this year for sure! If you aren't currently running your own business, I truly hope that someday you accomplish your goals and have the time and independence to spend more time with friends and family in the future. 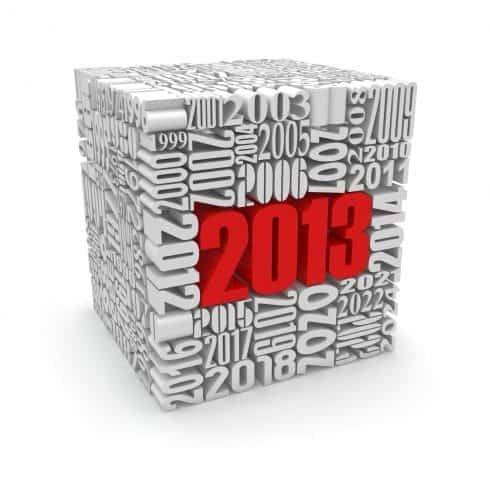 Overall, as you reflect on what you've accomplished in 2013 so far, I hope it will help you plan for a prosperous future! I Can Only Handle 1 Authority Site, Back to Niche Sites! 2013 was a great year I hope you will have a great 2014. Thanks Tung! I’m glad you’ve found some inspiration here… Best of luck with your future endeavors! Merry Christmas Spencer! Are you doing the dozen donut challenge this year? This sounds like my kind of challenge. What is it… ? Can I Use Many H2 Tags In My Topic ? Yes you can use multiple H2 tags (also consider using H3, H4… H6). The heading tags are exactly for that, consider a written paper – the main title will be H1, the sections will be H2 and any subsections would be H3 (so on and so forth). You should only use one H1 tag however. You’ve been a major inspiration to a lot of readers and especially to me. Here’s to your and the NP community success in 2014! Thanks Aman…best of luck to you! Let’s hope 2014 will be even better then this year. What a great year for you Spencer. Merry Christmas and Happy holidays everyone! I learned a lot from you in 2013. I’m definitely inspired by how you are able to manage and focus on so many projects especially with a family that demands a lot of your time. So my hat is off to you bro! I look forward to more good stuff from you in 2014 and I hope you enjoy your holiday season with your family. I followed along your case studies and now I own profitable niche sites myself! Ncie, Phil! That’s what this community is all about: making money and having fun together! Merry Xmas Spencer and all the best for New Year. Thanks for continuing to share, it’s most appreciated. Hi Spencer, I am following your blog since May, I learned a lot from you and your niche website project in 2013. I followed your case studies and gain some success. Thanks for all your knowledge. look forward to see more good stuff from you in the next year. Merry Christmas Spencer. I only found NichePursuits a few weeks ago but I have started to build a niche site after listening to all all your coaching calls with Perrin and I’m very excited to see what 2014 will bring. Enjoy the holidays with your family and very best wishes for the new year. Merry Christmas Spencer, have been a long term reader of your site, and long term user of LTP and think the content and products you provide are absolutely top notch. You’re a great role model personally for me, and I hope that you continue to keep providing awesome content for all your readers. Merry xmas and enjoy some family time! Thanks Steve…I have lots planned for 2014…should be a great year! Thanks so much for everything this year Spencer. Since starting to follow you, I have started one Niche site that had its very first adsense clicks earlier this month. Though it’s still under a dollar, I’ve actually made money online following your steps and guidance. Now to kick it into high gear, finish up that site, and start working on my new idea of a much larger authority site. I’ve done the first parts of my research, and will continue to follow along with the work you and Perrin are putting in, and also with Pat over at SPI. Thanks again, I wouldn’t have been doing as well without your help, your products, and also reading about the success others are having. Have a wonderful holiday season, and I look forward to reading more in the new year! Thanks Josh…great to hear you are seeing some of your first earnings; hope 2014 is a good year for you. Good job this year, Spencer! Happy holidays, everyone! Hi Spencer , I’ve been following you for about a year now . I’ve been trying to build niche sites but i failed due to bad keyword research , About 3 or 4 sites failed . I ended up building a very small niche site that doesn’t receive tons of traffic , however it’s making some money (About 20$ a month) . yeah i know it’s nothing but it’s enough for me to get motivated and get things done . Thank you so much spencer . i really really really appreciate it . You Are The Man . Thanks for all that you do Spencer! I did ‘The Challenge’ earlier this year after googling ‘how to make money online’, learned a whole bunch, but it wasn’t until I stumbled upon NP in April that I realized that those backlinking strategies weren’t working anymore. 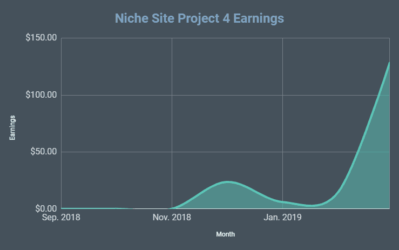 I followed your niche site project word for word and I now have 3 profitable niche sites. I am well on my way to self employment thanks to you! Merry Christmas Spencer. Thanks for all the great posts and I’m looking forward to next years! I am happy to follow your articles about internet marketing, especially with a case study that you serve. Next year, I want to be more actively learn from your articles and apply. Hopefully, next year you and your staff will get more successful. I’ve been religiously following your blog since couple of months. Although I was quite a bit of lurker at first but I truly appreciate what you’ve laid out for us. Looking forward to 2014, I’m always checking in to see what your up to in the niche site arena. I have had some small successes, but still haven’t quite got the results I’m looking for. still looking for that niche topic i can grow into an authority site. Spencer! Merry Christmas for you and your Family! This year was incredible! Time passed so fast. Thanks for what you have been doing. Sharing your knowledge has helped many people. This year I had many challenges as well, and one of it was building a niche site. Challenge accomplished. Now I am looking forward to build a second niche site. Have a good day! Congrats Perrin on a great year! Hope you had a very Merry Christmas, and looking forward to your blog in 2014! You have been my inspiration since 2011. I got your first ebook Longtail Handbook and am big fan of LongTail Pro. These 2 months, my niche sites bounce back and make closed to $2K. I gonna re-invest and grow some authority ones in the near future. Wish you and the NP community all the best and luck in 2014! Merry Christmas Spencer. Thanks for everything you do on this site. You inspired me to open my first niche site and opened up a whole new world to me. Best of luck in all your endeavors for many many more years. Shot out to Perrin too – great job my man. Happy New Year Spencer! You are an inspiration to all of us. Wishing you the best this coming 2014. Good luck to all of us. Best of luck to you and all your readers in 2014! Happy new year when it comes around Spencer and I hope you and most importantly your kids enjoyed Christmas. Hopefully one day it will be as popular and valuable as NichePursuits. You give me something to strive for. Just wanted to stop by and say “Happy Holidays” and “congrats” for a very successful 2013, Spencer. I mean, just look at the list of things you accomplished this year — from the growth of this blog, to LTP, to the Niche Site Project. Most people would be pumped to have accomplished ONE of those things. Thanks Brian – this really has been a stellar year for my business; lots of growth. I hope everyone else can experience growth in their business as well – plenty of room for everyone. Am new to your blog but am already enjoying the feeling of being here and am sure to keep visiting. I like the idea of the benefits of working online as read through your reflections for the year. I wish you a great year ahead much more greater than this year as well as the rest of us visitors to your blog. Spencer happy new year i hope this site grows and grows and grows. and you keep doing more and more niche projects online great inspiration. A big hello to Spencer and everyone else who makes Nichepursuits such a great community. Back in February I stumbled across this site and the whole idea of creating niche sites. When I looked back on 2013 I realised just how much I have learned about Internet marketing, making money online and most impressively actually made my first earnings using the methods here. I am not quite ready to quit my full time job yet (in fact I am far from it), although I feel that with everything I have read and tested with building websites, tI have a good feeling 2014 will be the year I make it happen. The journey has just begun, and I now have extra motivation to secure a full time living as quickly as possible – I found out that my wife is pregnant 🙂 With Twins 🙂 🙂 It´s the best news ever and it provides a good deadline to start making some serious cash!! A Happy New Year to everyone – May 2014 bring you traffic, commission and good health! Carl, congrats on the twins! One baby at a time is a handful :)…best of luck! Congratulations on your accomplishments during 2013 Spencer. All of your posts, tips and case studies are so practical and immensely inspiring to everyone. Your ideas and projects provide actionable strategies that each of your blog followers can readily implement. Thanks and all the best for 2014. Thanks for your blog and Happy New Year, Spencer! Sounds like a great year! Looking forward to following along in 2014, and let me send some belated holiday wishes your way! Finding this blog about two months ago has opened my eyes to knew ways of earning money online. I’m working on several niche and authority sites of my own and hope to mirror even a shadow of your success in 2014. Thanks so much Spencer and happy holidays! Great progress in 2013 Spencer and Perrin! I’ve been enjoying the updates throughout the year and looking forward to even better things in 2014. Hope you are enjoying NMX, I’ve been following along via Twitter. Thanks…yes enjoying NMX right now! Meeting lots of great people, including several NP blog readers..whoa! Spencer, I’m one of your followers here and I am very much inspired with what you are doing and your successes. What a great year for you! Good luck for 2014. Another great year to mark down in the books! You’ve accomplished quit a bit in 2013, Spencer. I’m ready to see what 2014 has to bring. Keep bringing the great business ideas and case studies. Happy new year, may you have more blessings this 2014 ..
its a long vacation, i hope its now okay to ask a question..
have you out rank yelp local pages ? or is it hard ? yelp pages seemed have zero link, some have zero page rank, lower page authority and domain authority ..
may i know whats your experience with this? Ok first, Spencer I really (really) admire what you are doing…love your site and all the info i get form you and Perrin, I just have one question though, something I really don’t understand: since google changed the keyword tool to keyword planner things changed a bit because if I’m not mistaken, there were a few indication (like avarage click through rate or avarage CPC) that a particular keyword was worth pursuing, but now I’m unable to find these indication. Does LTP do that? ANd if not how do I assess the “commercial validitiy” of a kewyword? 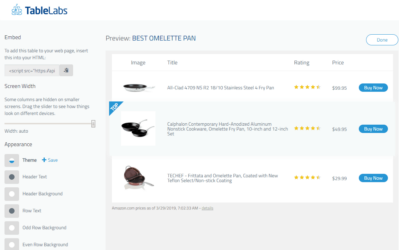 Does it still make sense to build adsense niche sites or is Amazon the only way to go? I’m really sorry if you adressed this issue in the past already. Wow, that was one hell of a year, Spencer. Wishes you more success in 2014. Congratulations for you 2013! I wish you a great 2014! It was niche pursuits that made my websites earned using your case studies. Thanks a lot Spencer, have an awesome 2014! Thanks for your awesome post and kind word.I have learned something from the website in the 2013.And I have bulit my first niche site,now it rank on the second page.I hope that I can earn my first dollar in 2014. Best wishes to you in 2014.